Dermal fillers and Botox injections in Kilkenny City and Dungarvan. Evening appointments available in Dungarvan. Welcome to Wrinkle Free Me. & 14 Grattan Square, Dungarvan, Co Waterford. Take a look at what antiwrinkle injections can really do. Anti-wrinkle injections are an effective way to help you look refreshed, well rested and more youthful. Dr Niamh Gormley offers you treatment for lines and wrinkles that really work. Treatment areas include, frown lines, crows feet as well as treatments for the lower face such as smokers lines, lines around the mouth. The aim of treatment is to provide you with a subtle result. Wrinkles Free Me's ethos is that you should look your best self not fake or frozen. 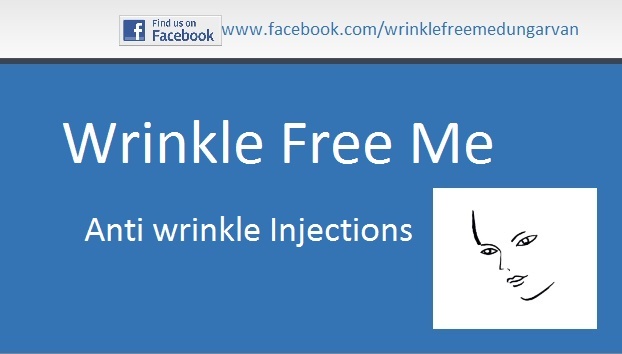 Wrinkle Free Me, also offers treatment with Dermal Fillers. Fillers can be used to rejuvenate and reduce lines around the lower face such as smokers lines around the mouth, marionette lines, nose to mouth lines and lip enhancement. Injections for wrinkles at the corner of the eyes, commonly know as Crows feet. Treatment for wrinkles on the forehead. Increased definition of the jaw line.